Triple digit heat means that summer is officially here…yay! Ok, I’m actually not excited about the next few months – walking through misters for a drop of moisture, getting in the car with oven mitts (do people actually do this?) and the swamp…you know what I’m talking about! 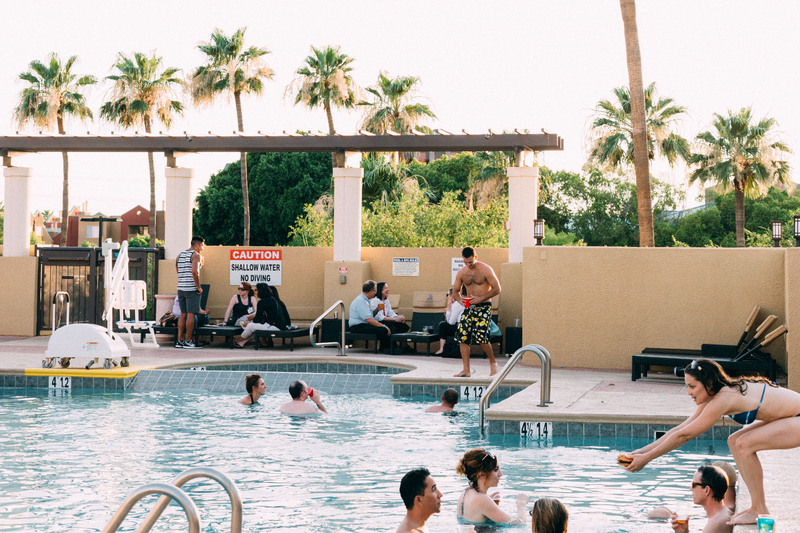 Thankfully, our hospitality industry understands the summer struggle for us locals and tries to do what they can in order to make the summer a little more bearable. Within just 1 square mile, there are 4 staycation-worthy hotels that offer a place of respite with sweet summer deals. 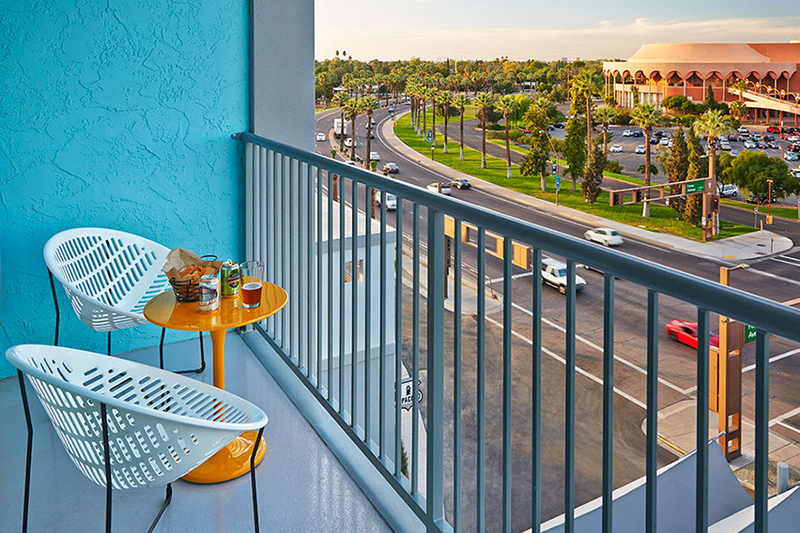 Whether you’re on a budget, just want to get away from home or are in need of a little R ‘n R, I encourage you to consider a Downtown Tempe staycation – act like a tourist that just arrived in your hometown and explore Downtown Tempe like a newbie. 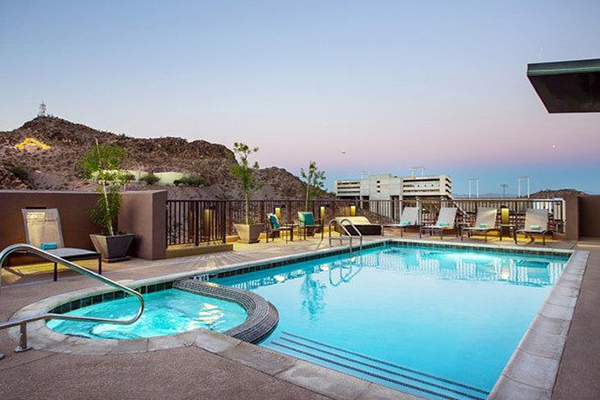 Below are some of the highlights from Downtown Tempe’s top staycation spots. Waived nightly hospitality fee – woop, woop! Graduate bikes available to explore the hood – that’s SO Tempe! 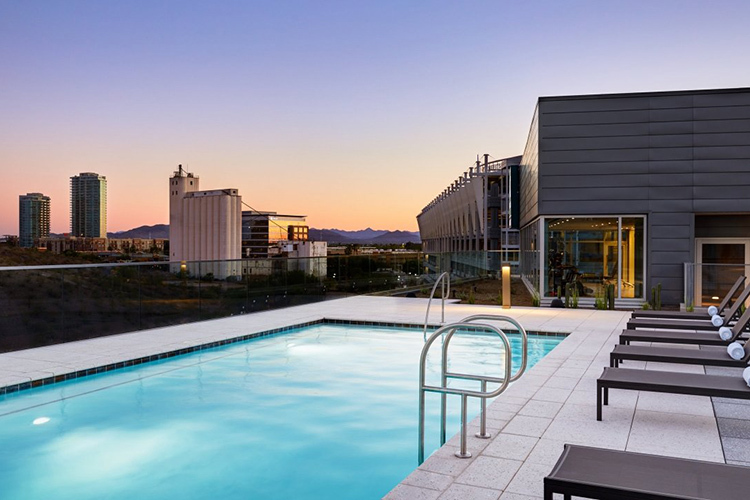 Rooftop pool – those summer sunsets though! Delicious $15 Continental Breakfast – worth going to have even if you don’t stay!